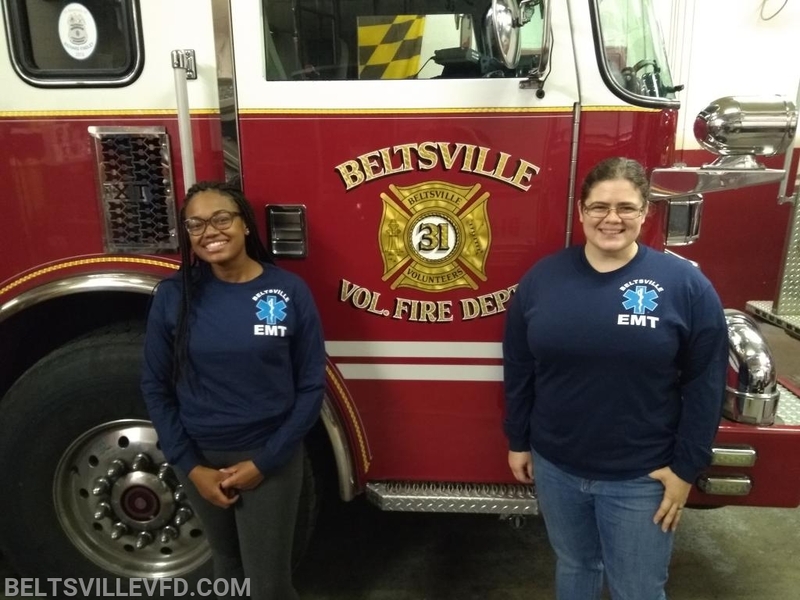 Congratulations to Jazmyn Pinkard and Cindy Crosswhite who just completed all the requirements to become Beltsville's newest National Registry EMT-B's. They have started the internship to become qualified to ride as officer in charge of the ambulance. We are thrilled for their success.